Last beer I had at High Sierra Brewery. 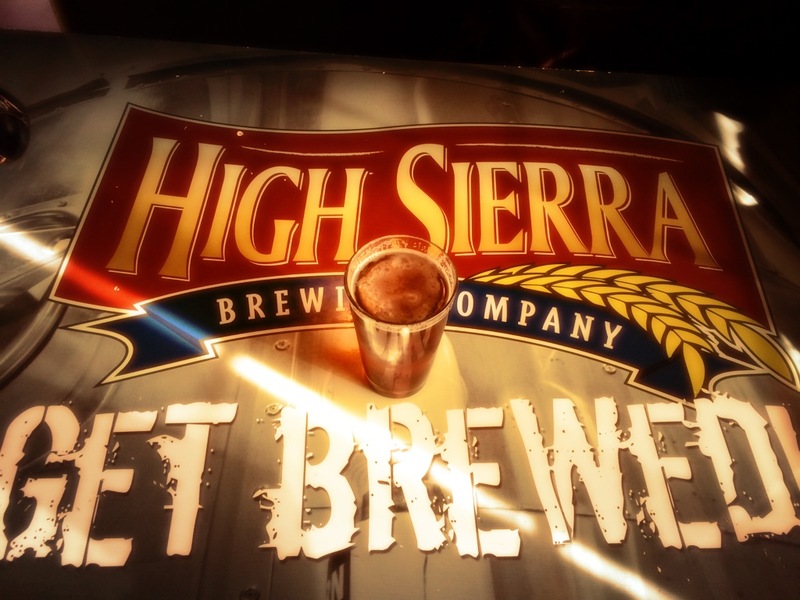 High Sierra Brewing Co., Carson City’s only brewery, will be closing its doors by the end of the month unless owner Jim Phalan can secure considerable investment money before March 29, according to a Facebook post by the brewery and an article in the Nevada Appeal. If HSB closes, that would leave Carson City without any locally produced craft beer or liquor. The lease for the 11,000-square-foot restaurant space is too expensive for the current volume of customers. Phalan described business as good, but not good enough. In most brewpub businesses, on site draft and off site keg sales pay for the brewhouse production and overhead while the dining customers support the rest of the business. Restaurant profit margins tend to be small, so it’s important for the dining room to be full of customers every day and it’s even better if all of them drink a few pints. Phalan recently expressed frustration in his Facebook status about the volume of customers in the restaurant, which may help explain some of the issues the brewpub faced leading up to this decision. Phalan is seeking investors to provide an infusion of cash so the High Sierra Brewing brand may continue production of draft beer and possibly build a bottling facility to enter the bottled beer market. The Nevada Appeal reports that Phalan is looking for more than $250K from an equal-partner investor while Phalan’s Facebook status on Feb. 26 discussed other investing models that could total up to $1M. ängers and turning the place into a legitimate brewpub (The Nevada Appeal wrote a full story on Phalan’s new venture in Jan. 2011). Las Vegas, Phoenix and Sacramento markets waiting for distribution. Post by High Sierra Brewing Company, Inc.
For those of you still craving the High Sierra taste, find it while you still can with their handy-dandy distribution map. This entry was posted in Beer and tagged beer, brewery, brewpub, carson city, craft beer, high sierra brewing. Bookmark the permalink.